You can’t blame Sprint and T-Mobile for trying, but the Federal Communications Commission is heading off a potential caper involving the two ganging up in next year’s broadcast spectrum incentive auction. In a blog post, FCC Wireless Bureau Chief Roger Sherman said the commission is proposing new rules that would prevent nationwide mobile carriers from jointly participating in future auctions. “We must make sure that the biggest providers are not able to limit broad participation in the spectrum auction. 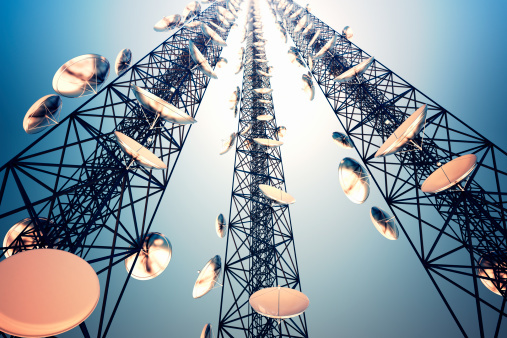 As promised in the Mobile Spectrum Holdings Report and Order, we now seek comment on whether and how we should restrict the ability of wireless companies to combine their bids during an auction. If Sprint and T-Mobile do merge, they’re actually in a pretty tough spot. Such a blockbuster deal would take a year to get over any regulatory hurdles, and there’s a good chance that the FCC or the U.S. Department Justice might shoot it down completely. Meanwhile, the most significant spectrum auction of the decade is scheduled for mid-2015. The complicated incentive auction hopes to transfer a huge chunk of the 600 MHz UHF TV airwaves over to the mobile carriers for 4G use, and the results of the auction could dictate the winners and losers’ mobile broadband strategies for years to come. Sprint and T-Mobile likely won’t know until the auction is over whether they would combine their license winnings or be forced to make do with the licenses they win individually. They can’t plan ahead. The situation is even more complex now that Sprint isn’t T-Mobile’s only suitor. On Thursday French ISP Iliad revealed it has made a $15 billion bid for half of T-Mobile’s shares. While the FCC is cracking down on the big carriers, it is also taking to steps to open up future auctions to smaller players. Sherman said the FCC wants to lift rules that today limit participation in the auction to carriers that build their own networks – a rule that is often sidestepped anyway (just ask Comcast(s cmsca)). That could potentially open up the mobile industry to small businesses and even startups. Instead of building their own networks they could lease out their spectrum to carriers or partner with larger companies to finance new network construction. But it also seems to me that such policies could encourage more spectrum speculation, something we’ve already had a problem with in recent years. Companies could just squat on the public airwaves, waiting for a deep-pocketed carrier to meet its asking price. i do not really see what has changed, the carriers have always help unlock phones that are out of contract. the new law requires that the contract be fulfilled. a change would mean it is legal to unlock an phone in your possession regardless if you are the original purchaser, a re seller, an unlocking business. an regardless of the contract status. nothing has changed except that it is officially legal to do what the carrier have always offered even as part of the exceptions to the previous law. I wonder how much they got paid by ATT and Verizon for this ruling. Probably about as much as they paid to make tethering payments legal on data that is already yours. :/ the bs reason they gave was that tethering increases data use so they need to charge more…. Just think about that for half a second…. They already charge you if you use more data than you paid for… And it is illegal to charge consumers twice for the same service…. That’s why I do it without there approval if they ever say anything I’ll take them all the way to the supreme court. I sent in a complaint to the FCC about tethering many times as you should too. Proof that the FCC is not concerned with the wireless competitive environment. Allowing the two to bid jointly or even share spectrum would greatly enhance their chances of taking on the Big 2. Agreed, the FCC is only worried about the interests of Verizon and occasionally at&t. All of the other carriers will never be able to pay what those two can if they are forced to bid alone. We need to make the FCC an elected body and ban any and all payments or incentives from corporations so that they listen to the public. The whole net neutrality issue only raises awareness of there corrupt nature. On a less serious note, i wish I had created a self appointed body to sell heat waves to people imagine all the hot air I’d sell to the government.